NOW IN STOCK - Fuschias, trailing geraniums, basket plants - Over 100 varieties! 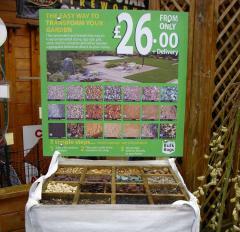 Bedding plants now on sale! "Home Grown with Pride and Passion! 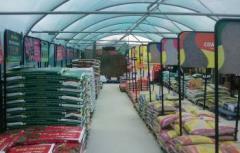 It's what makes us a Nursery"
Voted Best Nursery 2000. 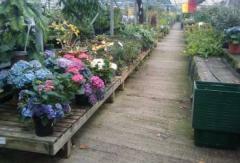 We carry a wide range of Herbaceous plants, Alpines, Heathers, Climbers and Trees, in fact everything you need for your garden. Over the last 20 years Allington Nurseries has built up a reputation for having not only everyday plants but also the very unusual. We carry the Arthur Bowers Brand and their full range of Special Offers. e.g. Buy 2 Get the 3rd Free. SHIPPED STRAIGHT TO YOUR DOOR - Call us for more info! 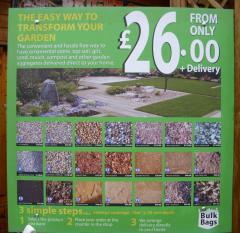 3) We arrange delivery directly to your home!